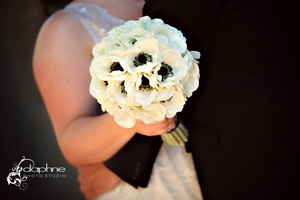 Anemones, also known as wind flowers are gorgeous yet delicate flowers. They feature a layer of tissue thin petals surrounding a light or dark center and a wavy stem. They are perfect for creating modern, whimsical and/or wildflower-like arrangements. But because they are delicate and prices start at $189.99 for 80 stems, you might want to consider Regular or Mini Gerbera Daisies! 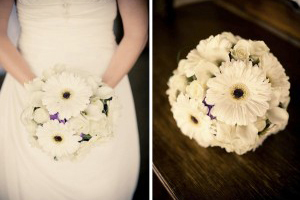 Gerberas are heartier than Anemones and feature a similar shape. Gerberas feature layers of long slender petals that also surround a light or dark center. Gerberas will create the same whimsical, wildflower look for less, with 60 stems starting at $99.99! 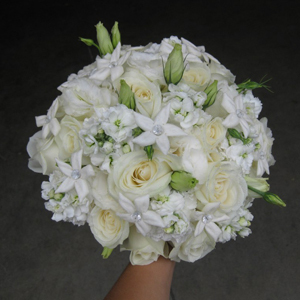 Stephanotis is a sweetly scented flower that blooms to form a small 5 point star. But because of their short stems, they require wiring, which can be quite time consuming and they are only available in white. Bouvardia comes in a similar, smaller, star like shape and also has a delicate scent, but comes clustered atop sturdy stems, meaning no wiring required, and you get several blooms per stem! And Bouvardia comes in white and pink! 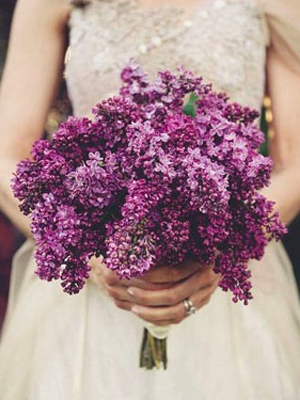 Lilac is a beautiful and fragrant Spring flower, but is only available around 4 months out of the year. 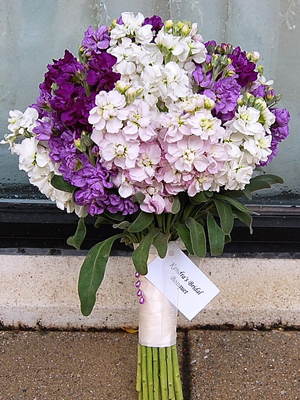 Lilac features clusters of small blooms on woody/hardy stems and is available in white and purple. Stock or Spray Stock can be a great substitute when Lilac is out of season, or if it’s just a little too pricey for you. 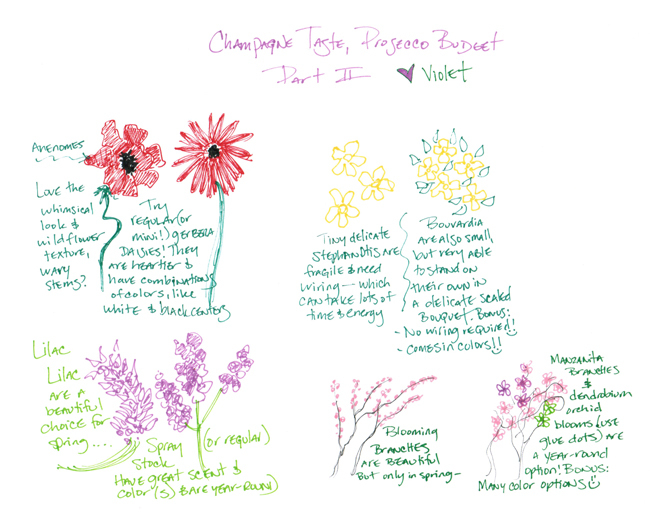 Lilac starts at $179.99 for 50 stems, but you can get Stock at $79.99 for 60 stems or Spray Stock at $109.99 for 50 stems, but the Spray Stock has multiple “sprays” of flowers, so you get more for your money! 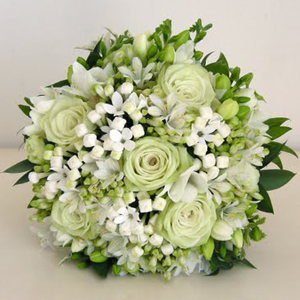 Stock can have a spicy fragrance and it features multiple blooms running the length of the stem’s upper portion. Stock is also available in several gorgeous colors, including different shades of pink, purple, yellow, and white. 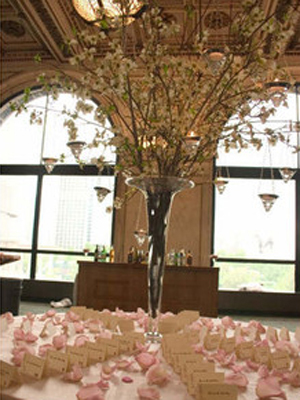 Blooming Branches are a popular and well sought-after product for Spring weddings. Great for adding height and drama, Blooming Branches make quite a statement all on their own. To create this look year-round, use Manzanita Branches and add your own ‘blooms’ by using glue dots, which you can find at most craft stores. 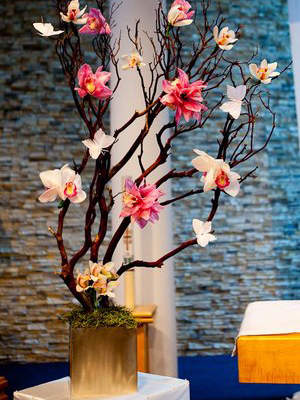 Orchids work great for this, and you can get loose Dendrobium Orchid blooms at FiftyFlowers to save you time! But, the other great thing about this option is that it allows you to get creative! Use flowers like carnations or roses to create small round clusters to rest within your branches, or use loose Gerbera blooms to add bright pops of color. You can even paint your Manzanita Branches using a floral spray. The options are endless! Well, that’s it for Part 2! Stay tuned for Part 3, where we will discuss the last 4 recommendations!